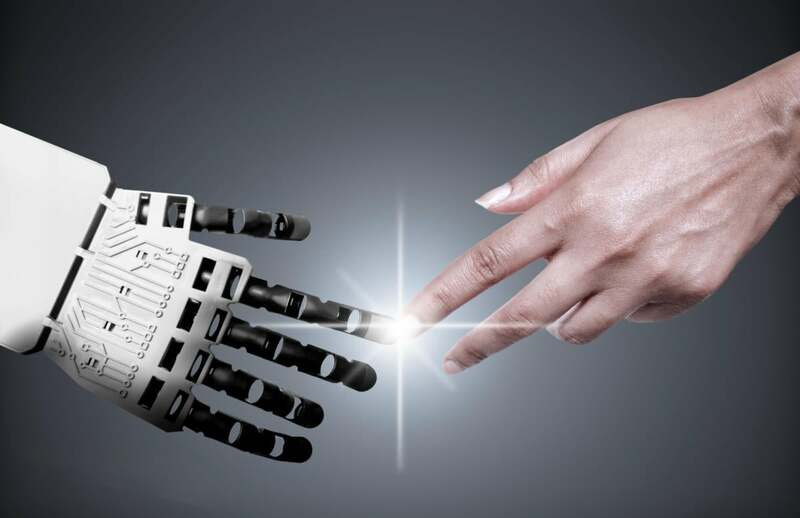 With robotics making great strides and more companies welcoming robots into the workforce, IT managers need to start prepping for the changes coming their way. "Robotics will probably touch every business over the next decade," said Dan Olds, an analyst with OrionX. "I think we're nearing a tipping point where more businesses will be adding robots and robotics to their operations. They'll be doing everything from manufacturing, to delivering food to restaurant tables to cleaning chores and farming -- and lots of stuff in between." While robots have been working on assembly lines and in giant warehouses for some time, they've become much more than giant hulking arms moving car doors and stacking boxes. With advances in technologies like artificial intelligence, computer vision and mobility, robots are taking on a host of new roles. Late last summer, for instance, Lowe's, the home improvement chain, announced plans to use customer-service robots in 11 stores in the San Francisco Bay area. The Aloft hotel in Cupertino, Calif. is already using a robot butler to autonomously deliver snacks and small items to guests in their rooms. And two delivery companies -- Postmates and DoorDash -- will use fleets of autonomous robots to bring orders directly to customers' front doors. That means the robots will navigate through cities and on crowded sidewalks in Washington, D.C. and Silicon Valley. "Over the last decade, robotics has started in industry after industry and that will continue to advance during the next 10 years," said Jeff Kagan, an independent industry analyst. "Robotics will play a growing role in a number of businesses, from making cars to taking orders at McDonalds. Not only will more companies move into robotics, but robotics will do more as it gets more intelligent with A.I., the internet of things and the cloud." The trend means that CIOs and IT managers need to be prepared for an influx of robotics because introducing this technology isn't as simple as firing up a fleet of humanoid robots and letting them loose in an office building. It's going to take planning, new skills and thought about how robots will affect employees and require new infrastructure. This is not going to be IT as usual. "It's very much a different mindset than traditional IT," said Mike Gennert, a professor and director of the Robotics Engineering Program at Worcester Polytechnic Institute, in Worcester, Mass. "IT managers worry about how they manage information, how it's used, how it's stored and secured. But none of that has the ability to directly affect the physical world. Robots affect the real world. That brings issues IT managers have not had to confront." For instance, It's bad enough if a company computer is hacked and it becomes part of a zombie botnet. But what if someone hijacks a company robot and makes it do things, harmful things, in the real world? Some large companies will need to consider hiring a CRO -- a Chief Robotics Officer -- to go along with their CIO and CTO. A CRO would be responsible for the company's robotics strategy and how it's integrated into the processes already in place. "I think the need is already starting to show up," said Gennert. "For somebody who's in the fast food industry, you'll want to know how robotics can be used in your plants [for] packaging foods and moving foods, and on-site in point-of-sales and logistically and cleaning up afterwards." However, hiring a CRO isn't the only position IT managers will need to fill. They'll also need to bring in IT workers with a background in robotics -- people who understand computer vision, sensors, programming models and security models, and who can do more than basic repairs and maintain robotic code. Companies will also need someone experienced in A.I., since it will be the smarts in autonomous machines. "Applications of machine learning in robotics is on the rise," said Taskin Padir, an associate professor of Electrical and Computer Engineering at Northeastern University, in Boston. "Each practical robot system will rely on some level of A.I. to become more adaptable to situations that cannot be foreseen by the robot's programmers." While IT managers are looking to hire new employees, they should consider bolstering their own skill set so they understand enough about robotics to get them up and running. "IT managers will need to become intimately familiar with their new robot charges," said Olds. "I think the robot vendors will provide a lot of this training, which will make it easier for IT personnel to quickly come up to speed." However, Gennert thinks IT managers will need a deeper knowledge than they can get from a few tutorials. "I think IT managers need enough of an understanding to get what the changes will be and what the new needs will be," he said. "They'll surely want to have more expertise on some bigger skills, like manipulation, perception and vision, navigation and locomotion. You'll need more expertise than you'd get from a few webinars or short courses." While there are a variety of estimates and a lot of fears floating around about how many jobs robots might take in the next five to 10 years, it's hard to calculate how bringing robots into the workplace will affect employee numbers. "Don't think of robots as a one-to-one replacement for employees," said Olds. "Trying to 'roboticize' all the tasks an employee does is extremely difficult. I don't think robots will be taking over everyone's job." While some workers will be displaced, the majority will carry on as before. Some employees may have more mundane, physically demanding or dangerous tasks taken over by robotic counterparts. Artur Dubrawski, director of the Auton Lab and senior faculty in the Robotics Institute at Carnegie Mellon University, used to be the CTO at Aethon, a Pittsburgh-based robotics company. Aethon makes the Tug robot, which is often used to make deliveries in hospitals, pulling carts carrying everything from linens to medicines and food. Through the deployments he worked on while at Aethon, he did not see robots replacing human workers, but helping them. "There's concern about robotics eliminating jobs, but in my practice that wasn't the case," Dubrawski said. "In the hospitals I watched through our deployments, nobody who worked in delivery lost their jobs. The efficiency increased. The quality of those employees' ives picked up." At one hospital that was using a Tug robot, an employee told Dubrawski that his knees had always hurt him when he was pushing the cart to make deliveries. With the robot, however, he began focusing on making sure the carts had the right supplies and then pushing a button on a touch-screen to have the robot take it to make the delivery. The worker's knees didn't hurt anymore. While working with a robot helped that hospital employee, other people may be anxious about working with a robot -- particularly an autonomous one. The image that often comes to mind: Out-of-control, malevolent robots like the ones on Battlestar Galactica or The Terminator. Add to that the fear of a robot accidentally hurting someone or taking their job, and employee concerns about their new, non-human co-workers could quickly arise. It's going to be up to the company, and likely the IT department, to work with employees, train them and put them at ease with robots. "Having people who are willing to work with the robots is important," said Gennert. "The fact that so many young employees today are already digital natives and feel very comfortable with computers means those folks will be pretty eager adopters of technology. And if people see how it helps them in their jobs, they'll be more happy to have the robots come along." Olds noted that part of the job for IT -- and anyone introducing robots into the enterprise -- will be to make it clear to employees what's happening. Are the robots replacing workers? Are the robots aimed at making some jobs easier? "It's important that employees get comfortable with the new tools and management needs to foster that sort of cooperation," said Olds. "There will certainly be some people displaced by robots, which will cause them to resent them. But this won't be the majority of workers. The majority of workers will carry on as before, but will probably find their jobs become more interesting and less wearing on them with the addition of their robot helpmates." IT managers will need to assess their infrastructure to figure out what they need to not only run robots but to have them safely and efficiently connect with other aspects of the corporate network, take orders from people in different departments, have them download information, track them throughout the property and even help robots deal with things like automatic doors and elevators. "We are still in the early stage of utilizing robotics and A.I. in enterprise IT," said Andy Chang, a spokesman for KUKA, a German-based robot manufacturer. "It is extremely important to make sure that you have a good infrastructure foundation to scale for the next 10 years." According to Chang, companies tend to utilize proprietary communication protocols, which can make extracting machine information difficult. "Existing networks can scale in the short term, but be ready to invest in new technologies such as 5G or Li-Fi as they become commercially available," he added. "It will be critically important." Dubrawski added that it's also a matter of thinking about how robots will need to communicate with the physical world, as well as with other company computers. "As an IT manager, you need to have the robot access the networking system in your [company]...and communicate with each other and be able to convey their whereabouts to whoever sends them on a delivery trip, as well as to those who are waiting for them. We want to know where they are and if they get into trouble, and how to deal with them remotely if they get stuck. You need to be able to resolve navigational challenges, or if it might be cornered by a bunch of kids." This story, "With robots on the job, it won't be IT as usual" was originally published by Computerworld.